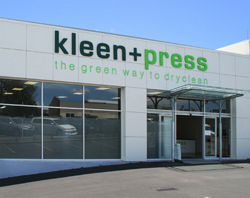 Kleen+Press - the green way to dry-clean - Kerikeri, Northland, New Zealand. Kleen+Press dry-cleaners and commercial laundry have been operating in Kerikeri in the beautiful Bay of Islands, Northland, New Zealand since 1995. Kleen+Press offer specialist solvent-free dry-cleaning services, commercial laundry as well as linen, uniform, overalls and mat hire. Since 2007 the business operates from its current premises on 7 Homestead Road were we have plenty of customer parking right by the door. Our premises are light and bright and our fit-out and equipment is of a very high standard. Kleen+Press have been placed in the top three most well-presented and stylish dry-cleaners in New Zealand by industry representatives. Our staff share more than 35 years experience in the industry between them, so we are well placed to look after all your dry-cleaning and laundry requirements. At Kleen+Press we pride ourselves in caring for the environment and we are constantly looking for ways to make our business processes as sustainable as possible. Historically the dry-cleaning process involved the use of highly toxic solvents. At Kleen+Press we only use eco-friendly, 100% biodegradable detergents which are harmless to you, your clothes and the environment. 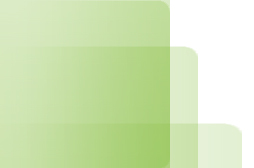 Throughout the business we subscribe to a green philosophy. Wherever possible we use eco-friendly products and packaging that are either biodegradable or recyclable. Our dry-cleaning machines and dryers are regularly maintained and calibrated for efficient power consumption and of course to ensure your garments are always treated at the right temperature. Another environmental contribution, well supported by our customers is the recycling of garment hangers. For every garment hanger returned we donate $0.10 to the Puketi Forest Trust for the purchase of rat traps and annually we sponsor several hectares of Puketi forest. Kleen+Press are proud to be the first business in the Far North to have received the Green Star Award. To qualify for the award, Kleen+Press had to put in place systems to reduce waste. The business also had to have less than 10% of materials that could be reused, recycled or composted in its refuse when it was audited by CBEC EcoSolutions. 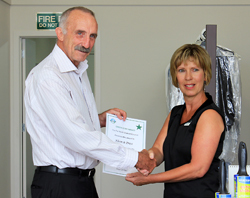 Wednesday January 15, 2014 - Far North Mayor John Carter presents Kleen+Press owner Els Bodifee with a Green Star Award for reducing waste.